Boring but Very Important Work! The big snowstorm hit the northeast this Tuesday and I was able to spend some valuable time at my desktop computer. This is something I haven’t done in a while. You see, I use my laptop for much of my work at sporting events. I have the routine down pat. I can quickly go through over a thousand photos, find the best ones to send to my editor, and then get them off to him. I use a color label scheme in Photo Mechanic and it works very well for me. The problem is two months later when my editor wants a photo of a specific player. It doesn’t matter which game, just a usable image of this player. Well, there is no time to poke around through all my images to find that small selection of photos of this player to send to my editor. Panic can set in pretty quickly and no one wants to make an editor wait. Thankfully, captions and keywords are the answer! Do you faithfully enter keywords and captions into your images? I confess that this is boring but very important work. Down the road it will pay off beautifully. Here is another scenario. 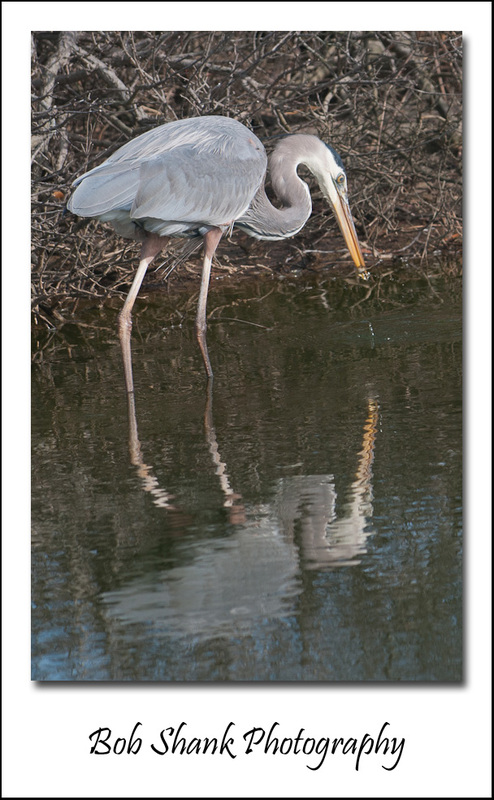 I sell wildlife postcards at the Elk Country Visitor Center. So I decide to find some new photos that I haven’t yet used to make new postcards. Thankfully, I created a keyword combination: “Potential Postcard.” Now all I have to do is go to my Smart Collection in Lightroom, which contains all these potential postcards, pick the ones I like, and send them out to be printed. Previously, I did not use these keywords and locating new postcards was a pain. Now I can do it quickly and efficiently. Inputting keywords and captions is boring work. I admit it. In fact, I avoided it way too frequently. I remember something my dad used to say when he retired: “Why do today what you can put off ’til tomorrow?” Well, that might work in retirement, but not for keywording and captioning. Do it soon or pay dearly later. I recently read John Shaw’s e-Book, “Organizing and Locating Your Images Using Adobe Lightroom” where he describes using a hierarchical keyword scheme. It works like this. Suppose I want to add a keyword word for the location of an image. It was shot in a specific school during a basketball game, which is in a town and a state, too. I could enter the appropriate state, town, school, and gymnasium names individually or I could use a hierarchical scheme like this: LOCATION: State > Town > School > Gymnasium. Then, after setting up the hierarchical system, I could simply add the specific Gymnasium keyword to the image and automatically the School, Town, and State are added as well. Beautiful! It’s simple, once set up, and very quick! I am all about speed. I have to be in order to meet deadlines, which sometimes happen even during a game in progress! But boring work done soon after a game can repay itself over and over. I do not like boring or repetitive work, but with my sports and wildlife photography I know the critical importance of this so called boring work. I am learning to be more efficient, but I am also learning the importance of keywording and captioning. Are you? By the way, these images are ones I found when setting up my hierarchical keyword scheme. I forgot I even had some of these photographs so I thought I would give them a little exposure. He was Barking at Me! I was in Chincoetague, Virginia this week. 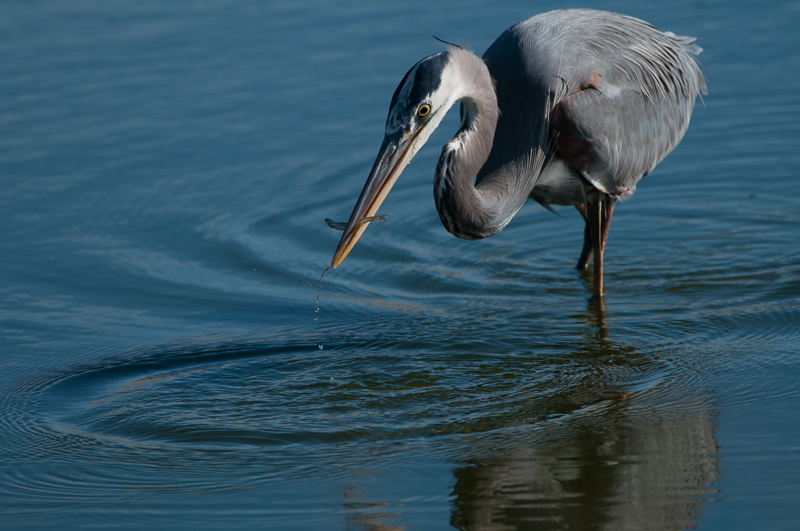 On Tuesday morning I was photographing a blue heron when I heard this sound. I wasn’t sure what it was at first. 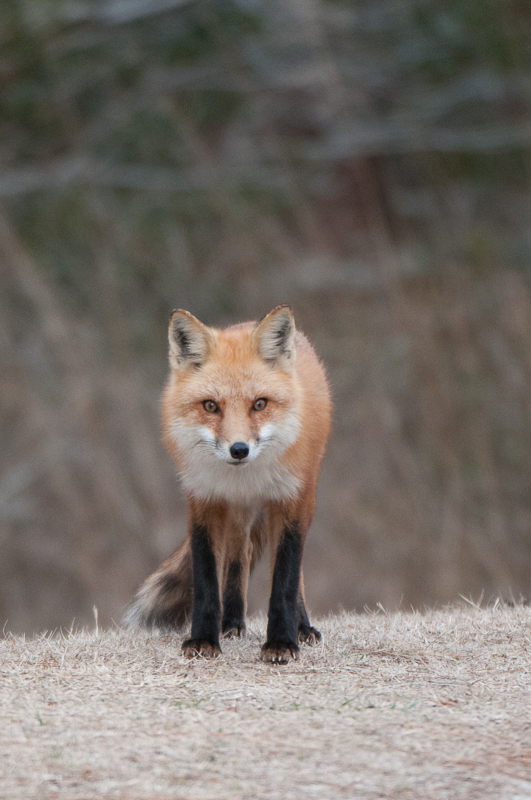 Then I looked down the way a little off to my right and there was this red fox barking at me! 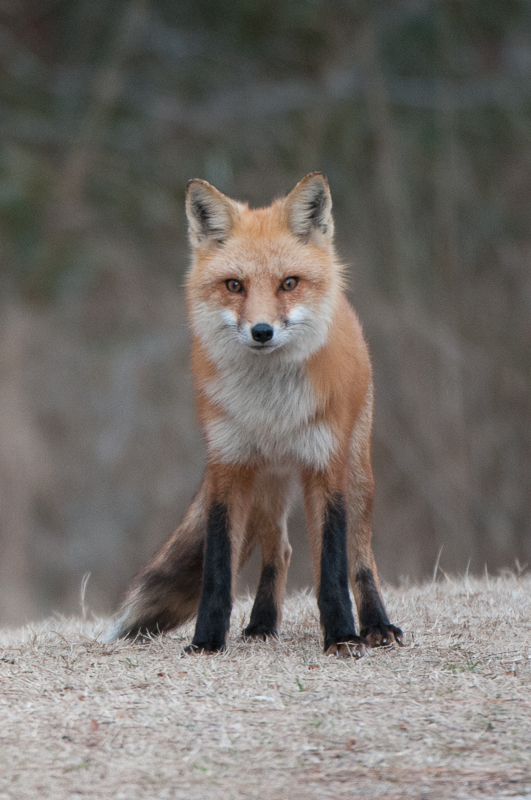 It was great to see a fox so close. Sadly, it saw me before I saw it. I didn’t get many photos of it and no really great ones, but I did get a few. 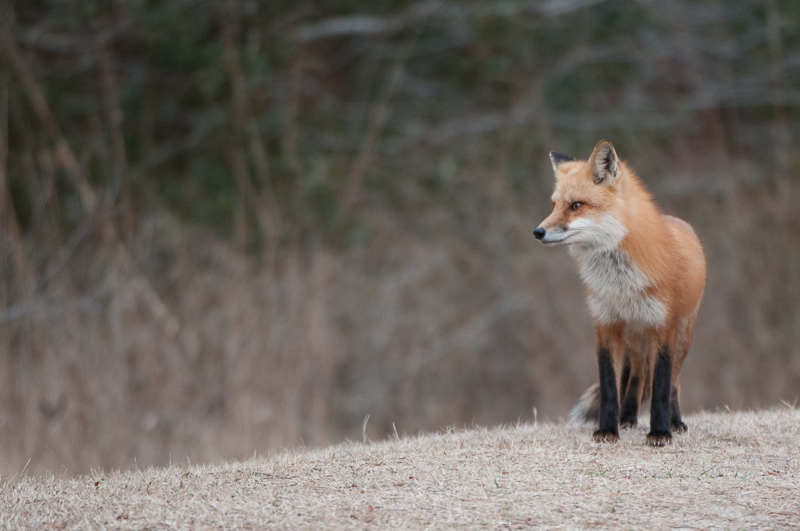 It was my first time seeing a red fox to photograph. 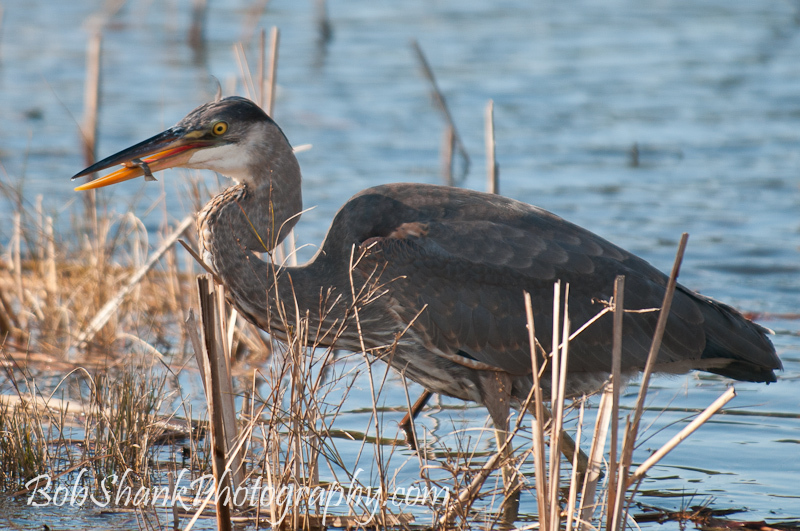 The blue heron saw this predator well before I did! This served as a great reminder: don’t get stuck in tunnel vision when photographing wildlife. Keep alert and watch in all directions. You never know what might come along! 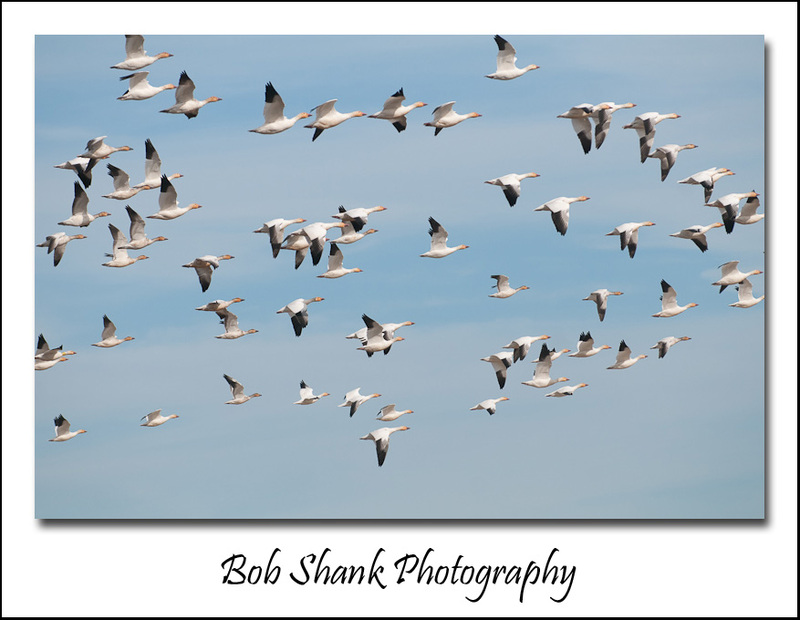 I just went through all my birds in flight photographs from my trip to Chincoteague in January. Sadly, not many of those photos are worth much. Capturing birds in flight is not easy. So many things can go wrong: focus, light or lack of light, sun glare, obstructions, and much more! I was using my 70-200mm f/2.8 lens so I was not able to reach out far enough and the low number of good, quality images captured proved to me just has challenging this specific type of photography is to do. It was fun to try though and I learned a lot. Admittedly, I probably learned more of what not to do rather than what to do, but even this is good education for the future! I believe the challenge is part of the lure in just about anything. After all, if it was easy then everyone would do it. Where’s the challenge in that? Anticipation and preparation are obviously key. Being ready, as in just about anything related to wildlife photography is paramount. Some of these birds caught me off guard when they lifted up into the air, so capturing sharp photos was no where in the realm of possibility. Eventually, I learned to be a little better prepared and ready for a bird taking flight. 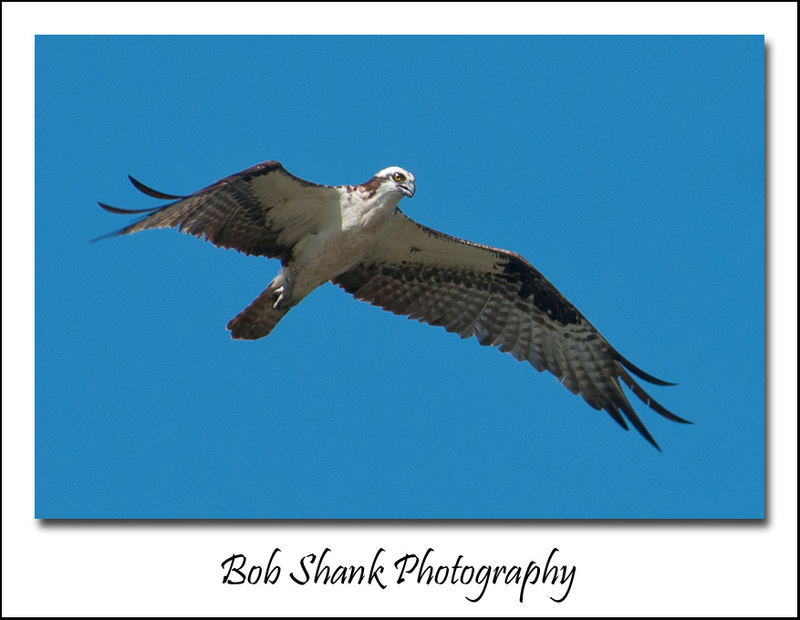 I usually like the deep blue sky backgrounds in my birds in flight photos, but paying attention to other objects can create visual diversity for the viewer of your photos. We certainly do not want all our photos to look exactly the same! Visual balance and diversity are important in any portfolio. 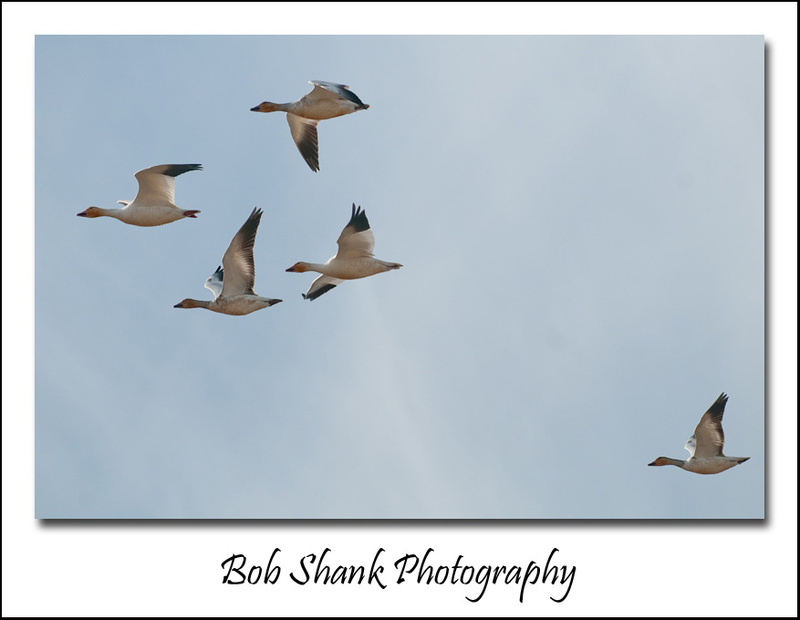 I couldn’t help but go back to see how I did with birds in flight last year at Merkle Wildlife Sanctuary. That trip left a lasting impression on me because it was the first time I captured decent photos of an osprey–actually an osprey and two juveniles. They were a whole lot of fun to photograph and eventually the momma bird lifted off in search of food. Again, having a longer lens would have been very helpful, especially when she was skimming the water to catch fish. But I did capture several of her in-flight and this is one of them. 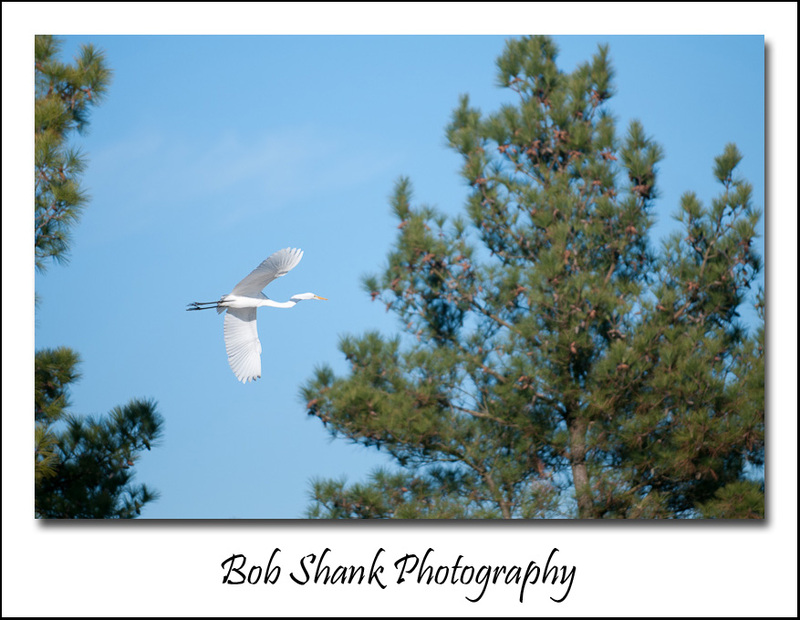 Have you been successful at capturing birds in flight? Give it a try. It’s definitely worth the challenge and it’s a whole lot of fun! I am on the ground floor when it comes to bird identification. For me it’s not even 101; it’s bird id 001! This photograph is not a great one, but it captured a bird I had never photographed before. 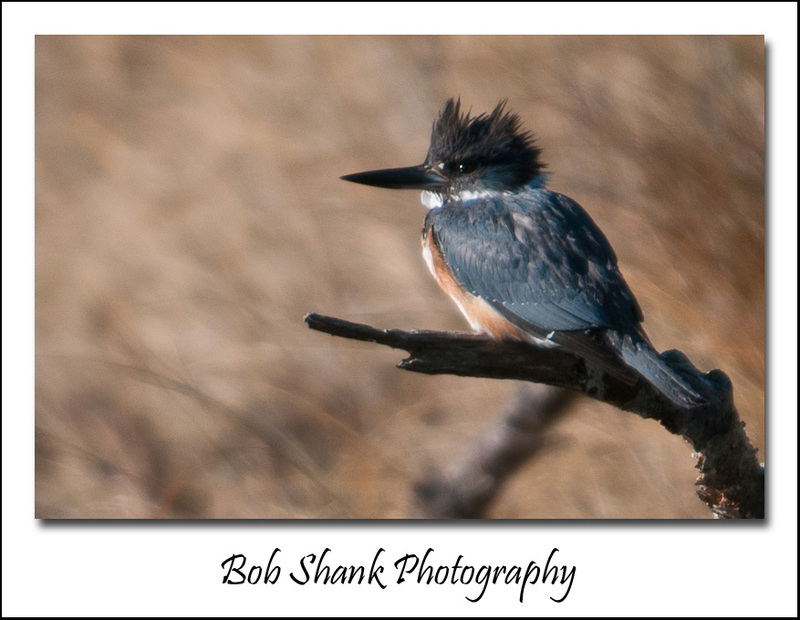 I think it might be a type of kingfisher, but I am not sure. So I need your help. Can you identify this bird? The photo was taken in Chincoteague, Virginia on the second week of January. 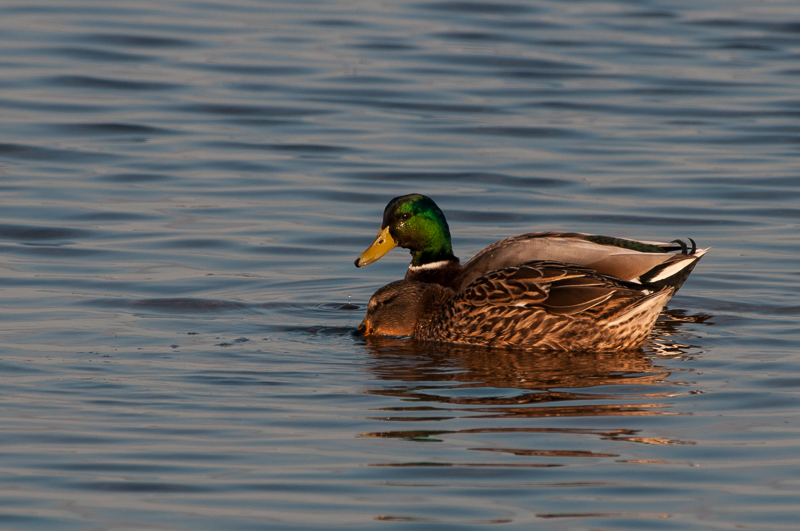 I saw a lot of mallards, great blue herons, great egrets, a whole more. One day I just happened across this bird sitting on a perch. So I quickly stopped my truck, grabbed my camera and snapped a few photos. This was the best one of the batch. It is not a great photo but I hope it is good enough for one of you to help me identify it. 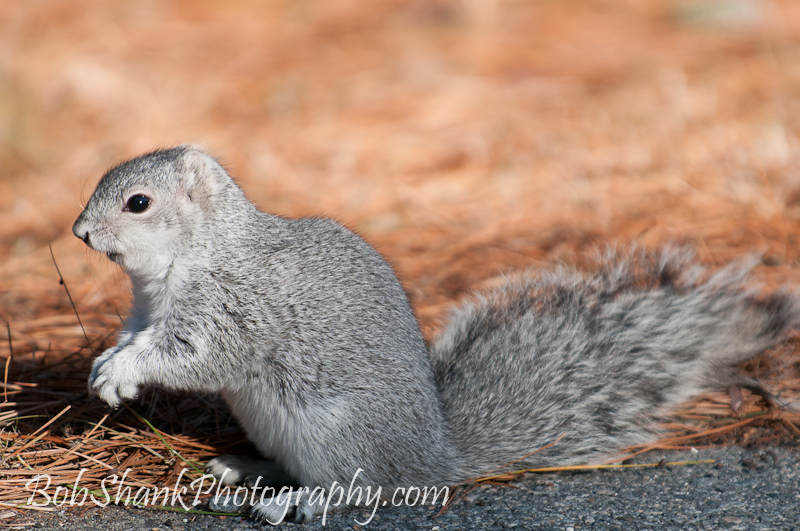 The Delmarva Peninsula Fox Squirrel (Sciurus niger cenerus) is an endangered species. 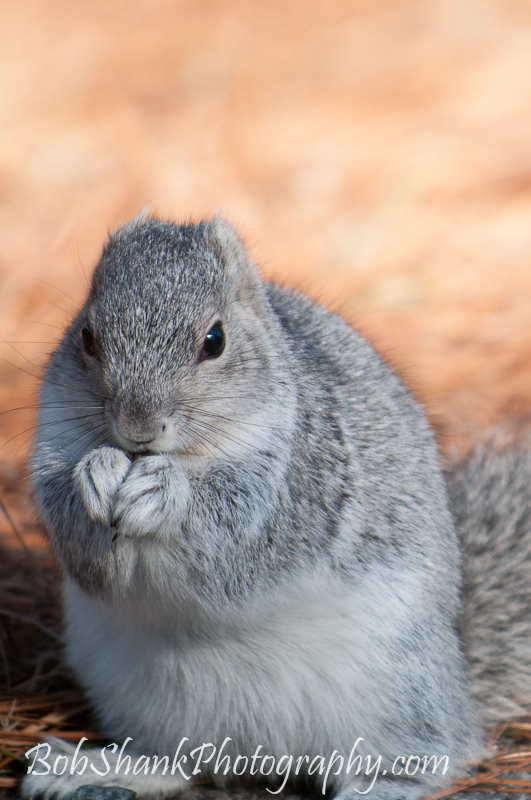 At first glance, it looks like an ordinary gray squirrel, but upon closer examination there are several differences. First, this squirrel is bigger, growing up to 28 inches in length, half of which is usually the tail. 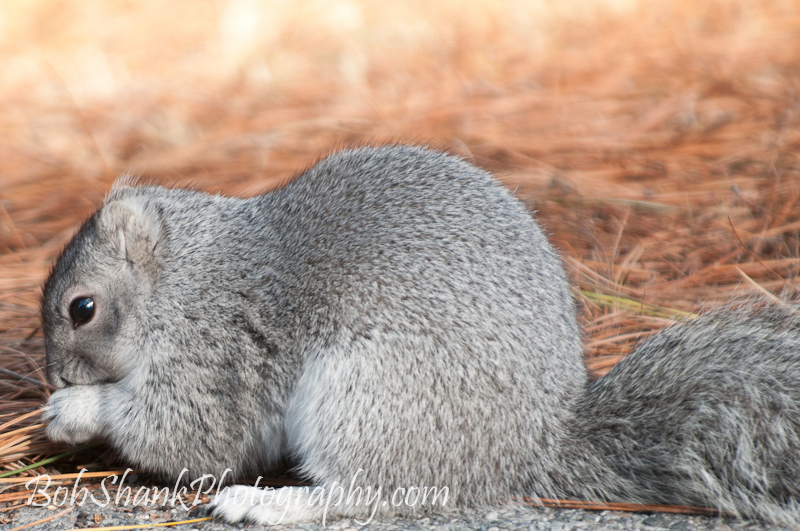 Secondly, the tail of the Delmarva Peninsula Fox Squirrel is bushier than the ordinary gray squirrel. It can also weigh up to three pounds! These squirrels live in the woods and often stay close the ground. They can be seen searching for food, as in this instance, eating a pine cone or some other morsel. The unique name of this squirrel comes from where it is found–all through the State of Delaware, and the Maryland and Virginia peninsula. 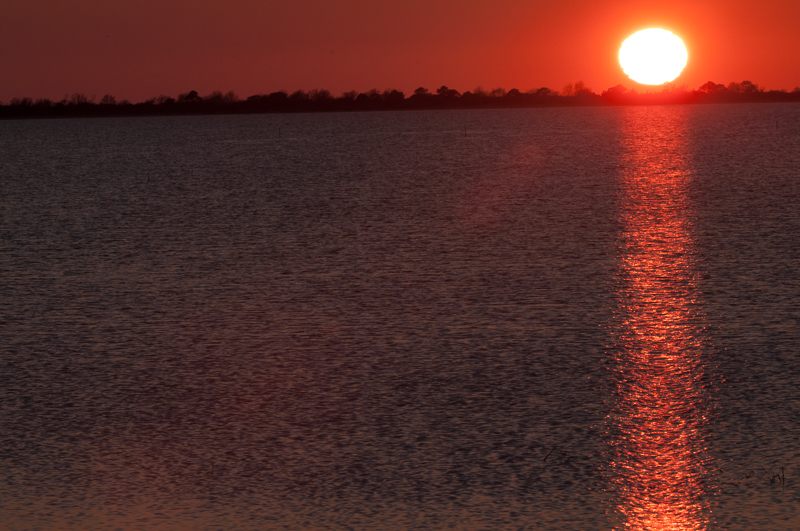 This one was photographed in Chincoteague, Virginia. They are listed as “uncommon,” so seeing one and getting to photograph it is a special occasion. Their behavior, for the most part, is similar to the common gray squirrel with the exception that this species prefers to stay close to the ground rather than climbing high into the trees and jumping from limb to limb. It often prefers to escape danger by running away rather than climbing a tree. Females give birth from 1 to 4 babies in a litter and raise them on their own. They can give birth to two litters per year. 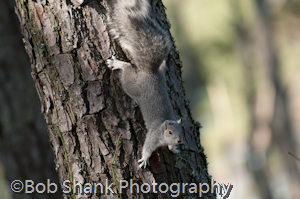 The Delmarva Peninsula Fox Squirrel was once found as far north as New Jersey and down into the Southeastern portion of the United States. 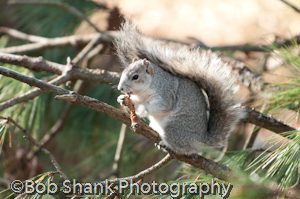 By the early 1900’s the range was decreased and the squirrels were only inhabiting the eastern shore of Maryland. 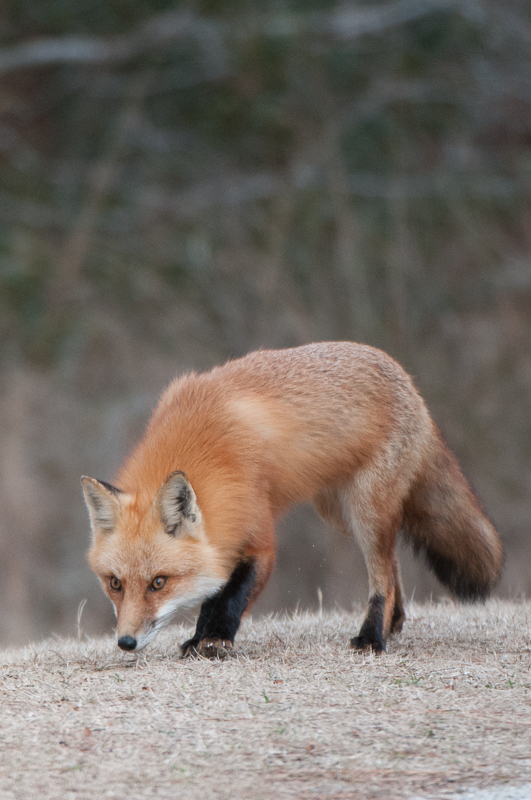 Predators included foxes, weasels, minks, eagles, hawks, raccoons, opossums, owls, and snakes. They are also sometimes mistakenly shot by hunters. Numbers have rebounded and now this squirrel is found throughout the eastern shore of Maryland and Virginia again, and in Delaware and even in Pennsylvania. With continued effort, protection, and appreciation for this unique mammal; they will hopefully be seen well into the future. Who knows, maybe you will be able to photograph one some time soon! 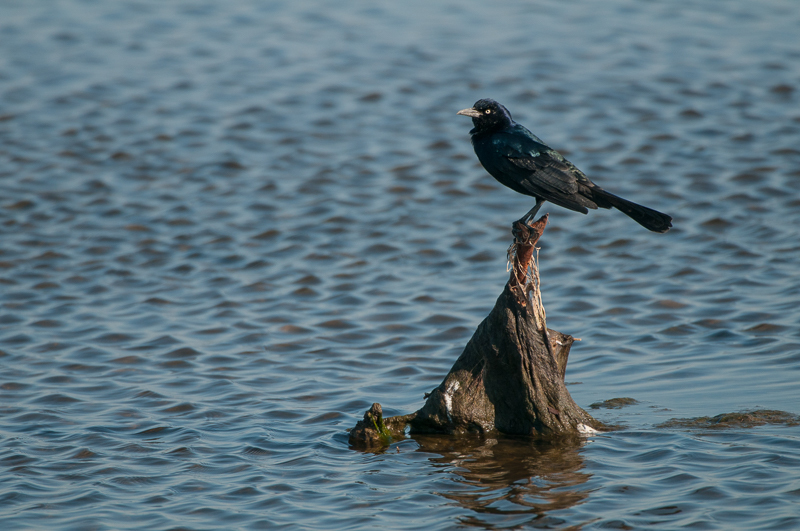 Last month I was in Chincoteague, Virginia for some bird photography. I just love this place! There are lots of different species here and there are plenty of places to photograph them. I was a little rusty out of the gate the first morning and missed some nice birds. 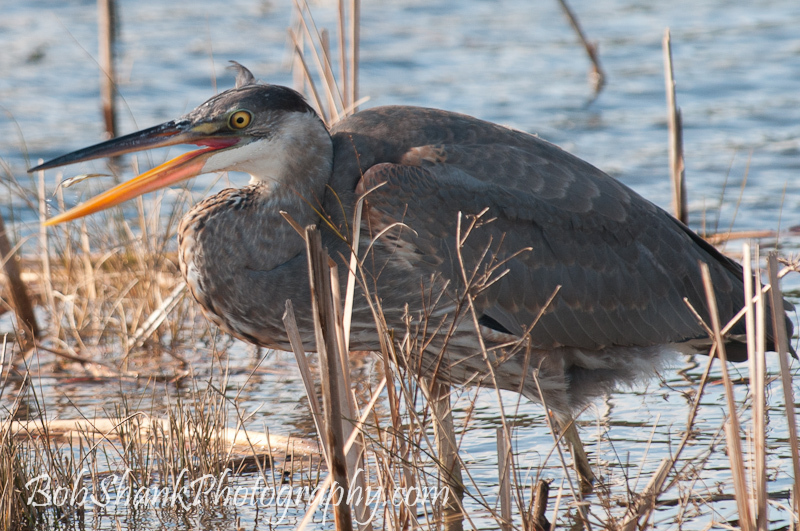 Patience and persistence paid off, however, and before long I found myself back in the swing of wildlife photography. I spent two days at Chincoteague and then spent part of a day in Assateague, hoping to get some wild pony photos. 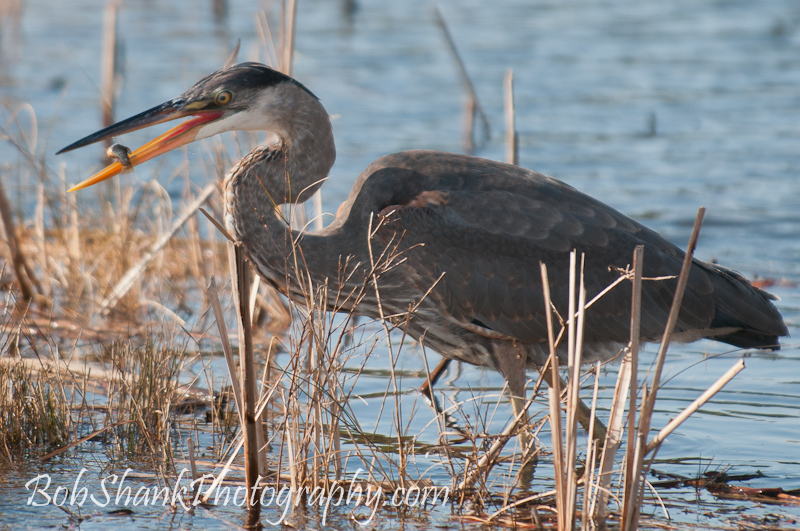 I did, but I was also surprised to see this lone Blue Heron fishing not far from the road. 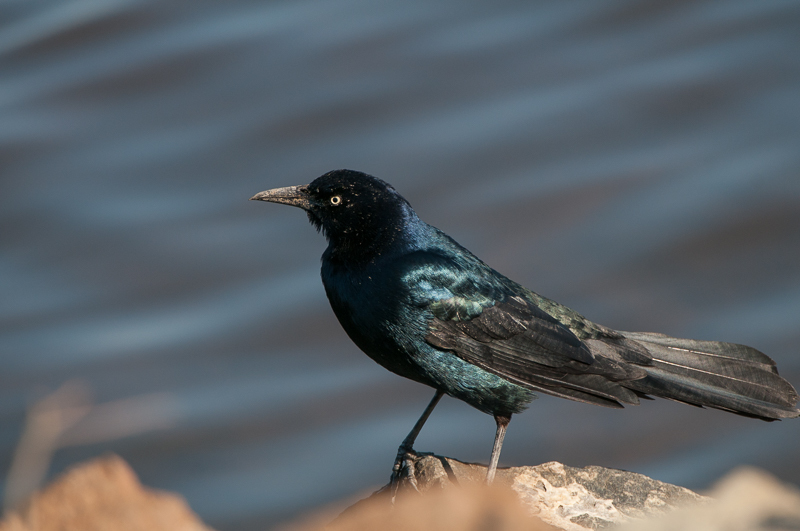 This was surprising to me because usually I see few birds at Assateague. This guy didn’t seem to mind me watching him trying to catch dinner. It was mostly quiet–no cars, just a whole lot of wind! Still, this bird didn’t mind. With a hungry belly to feed it kept watching, waiting, stalking, and attacking the small fish in the vicinity. It was amazing to watch. The more time I spent observing and photographing this bird, the more I could anticipate when it would thrust its beak into the water after a fish. This watchful preparation helped enormously. 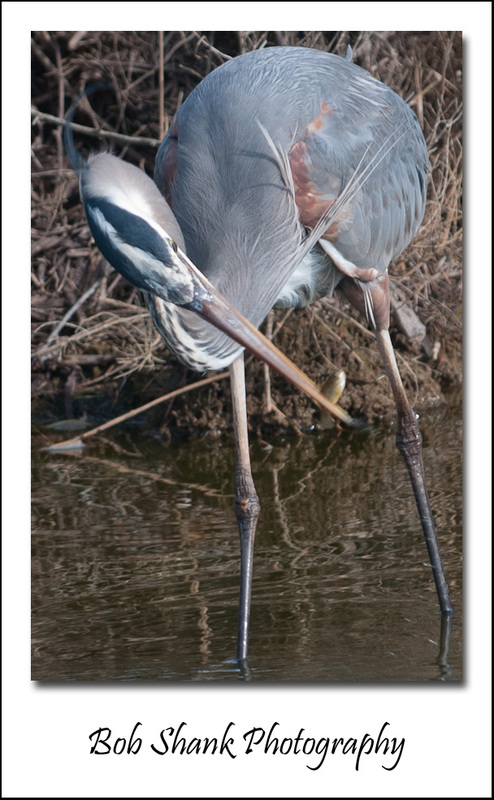 Then with the jerk of its neck and a splash of water, the beak penetrated the water to snag some dinner. Amazing to watch and wonderful to photograph! “Working the subject,” (which isn’t a phrase I actually like to use because how can this be work?) I saw more and more detail with each fish caught. Sometimes the little fish was caught well and it was a simple task for the bird to flip the fish from its beak into its throat. Other times, however, it was not a simple task. 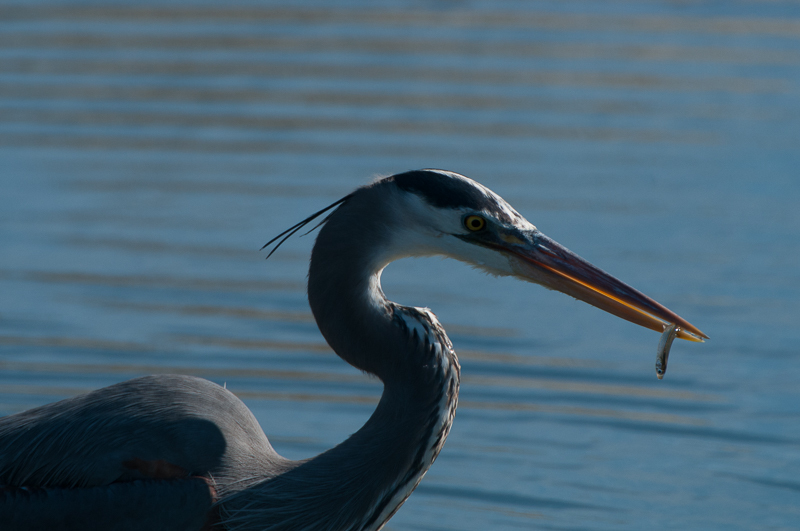 The fish was flopping dramatically and the bird had to figure a careful way not to lose this delicious bite. Catching the fish was only part of the process. Eating it could be a completely different matter. Then there were those times when my camera and the eating bird seemed to sync together. I somehow managed to click the shutter release at just the right moment and everything was just perfect. 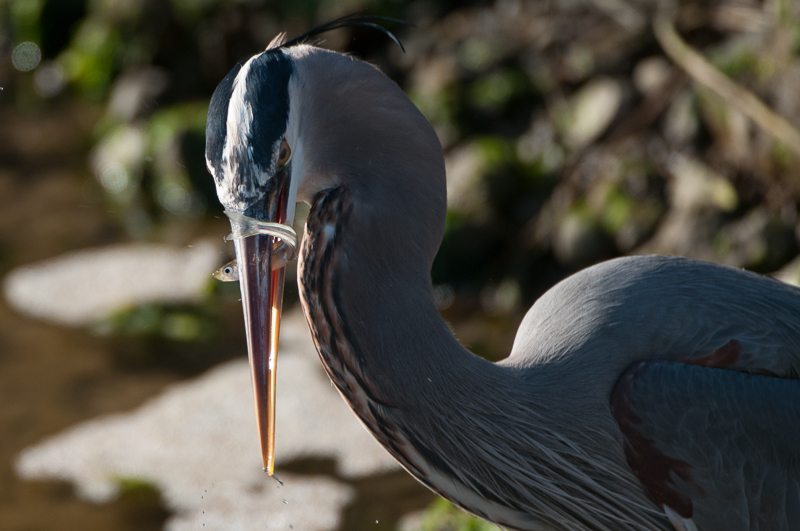 The heron got its dinner and my camera captured the phenomenal moment! Isn’t it just great when everything comes together at dinner time? Over the past two days I have been in Chincoteague Virginia photographing wildlife at the Chincoteague National Wildlife Refuge. This is my third trip in three years to this excellent location and it has quickly become one of my favorite stomping grounds. It was cold yesterday. Today is warmer but there is ice everywhere and some snow on the ground in spots. 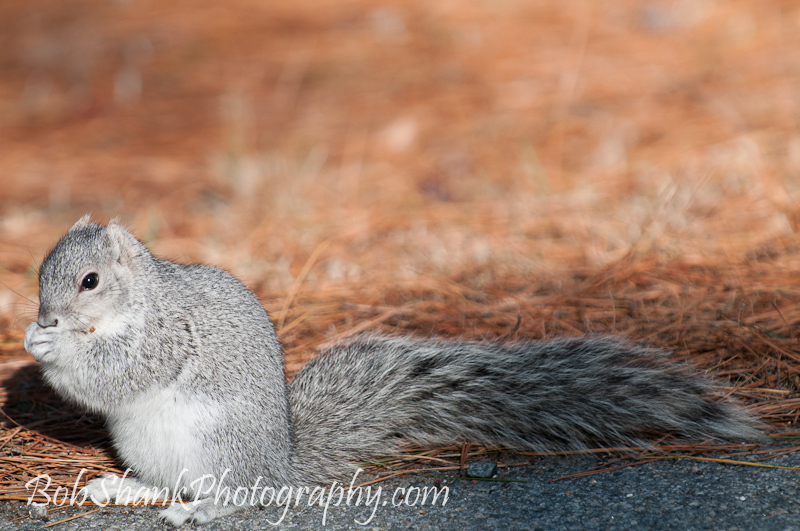 Today I was fortunate enough to see several of the endangered Delmarva Peninsula Fox Squirrels. I actually saw seven of them. Here are two photographs that I was privileged to capture this afternoon.